Our clients buy Gift Vouchers for all sorts of reasons. Sometimes it is to say Thank you to someone special. Other key times, clients buy Gift vouchers are to acknowledge events such as birthdays, anniversaries, weddings, graduations, Valentine’s Day, Mother’s Day, Father’s Day and Christmas. Because giving a Gift voucher is such a personal thing, our vouchers have space for you to write a special message, making the gift very individual and special. The voucher is presented in a black envelope and has the name hand written in white. We are happy to provide Gift vouchers for any amount without specifying any particular treatment. This leaves the choice of treatment in the hands of the recipient, allowing them to pick what they want and when they want it. 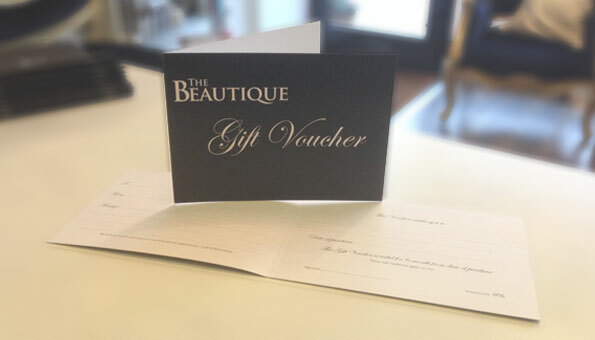 We can provide Gift vouchers for any specific individual treatment or for a full course of treatments.